Andrew McCutchen’s hair has been adjusted! A wonderful game below a pile of small tweaks. Win a Copy of Bloodborne, MLB 15: The Show, and Mortal Kombat X on the PS4! Bringing you the best on the PS4. Only 19 Trophies to obtain on PS Vita. The fields look nicer, too! 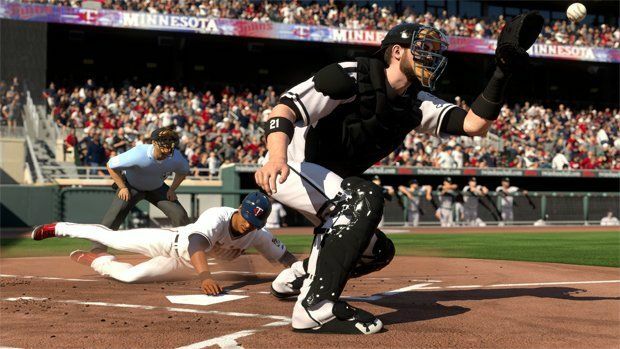 Learn a little about the Diamond Dynasty mode. Can you smell the baseball season? Play certain game modes, get items. Canada gets Russell Martin as the cover athlete. PS4 version is the only one with improvements to graphics and presentation.